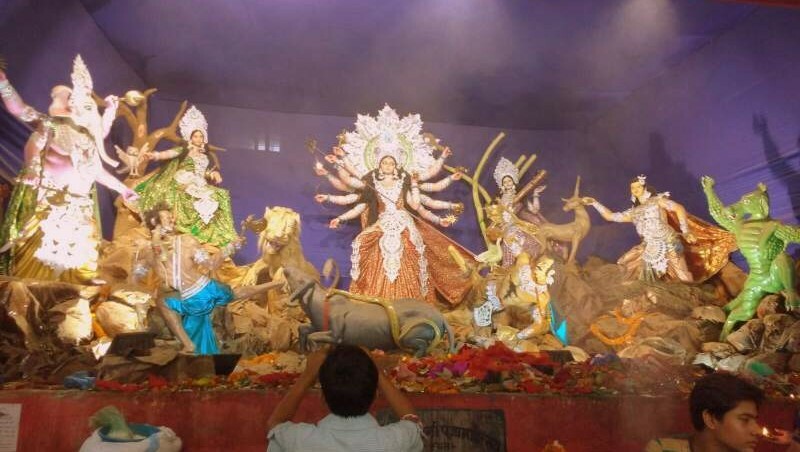 Durga Puja, the time when India goes home. While Diwali, Holi and other festivals are short lived and feel like T20s, Durga puja is more like a five match test series. The prolonged period of the festival adds to the joy and fanfare. During my school days in Odisha we used to get 15 days of vacation from school. The nine days used to whiz by. The tenth day, a huge effigy of ravana was bombarded with firecrackers, until it burnt to ashes. I was fascinated by such imagery as a child. In my college days, I got to know of the famous Mysuru dussehra, which is known worldwide. 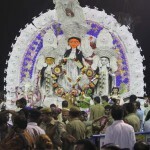 The most recent dussehra, I experienced was in my hometown of Patna. The eighth and the ninth day are the most awaited. The entire city comes out to offer their prayers in pandals of different designs. I spent time with my family trying out street stalls selling chaat, momos and litti. The pandals are fabulously decorated, with the image of goddess killing the demon while riding on a lion can be found at every nook and corner of the city. The traffic jams are common and the city police don’t admit vehicles on some of the main city squares. These places are accessible only on foot. In some of the pandals, the still imagery is enacted by professionals dressed in costumes. Women and some of the men observe fasts during the 9 days. The sale of non- vegetarian food is prohibited in parts of the city. People limit themselves to a strictly vegetarian diet. On the tenth day, all hell breaks loose. People indulge in feasts, with sumptuous preparations. People go out of their homely walls and shop, eat, talk and enjoy the festival. The money keeps flowing in for the shops and the street stalls. The trains and flights are jam packed. The airlines companies increase their fares. The taxi and autowallahs charge extra, as they think any astronomical price can be demanded in lieu of puja bonus. As a student of economics, I realised that festivals like these boost our economy. All kinds of goods and services are sold during this time (namely worship items and fees of the priest). The money being exchanged is enormous and it revitalises the cash flow in the market. People generally buy new goods like electronics, steel, houses, automobiles during the puja period. The puja time contributes heavily to our nation’s GDP and spreads joy. Even “the not-so-religious” people make a visit to nearby temples and pandals and try to get a piece of the Prasad. It creates a harmonic and stress less environment for everyone to enjoy, and take a break from their monotonous, routine lives. It allows us to reconnect with our traditions, values, family and friends. 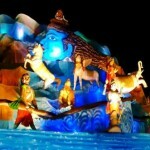 Durga Puja remains and will remain a much awaited time for every Indian.